September 1st already?! Is the summer really almost over? I'm a little bummed, I must admit. I have enjoyed the beach, grilling out and swimming, so it will be a sad goodbye. But I am definitely pumped to say HELLO to Fall and everything it brings. Football, cooler weather, pumpkin flavored everything, Starbucks fall coffees, I love it all! The Fall might actually be my favorite season. PLUS, the best day of the year ( AKA MY BIRTHDAY!) is only a few months away... It's an all around fantastic time. 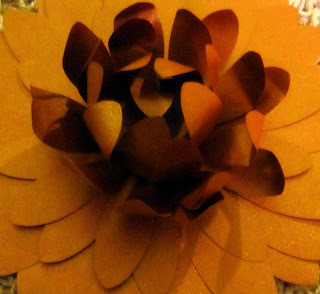 When I walked into the FABULOUS store, Paper Source, the other day, I knew I found the perfect way to welcome Fall. Note: If you have a Paper Source in your area, GO! 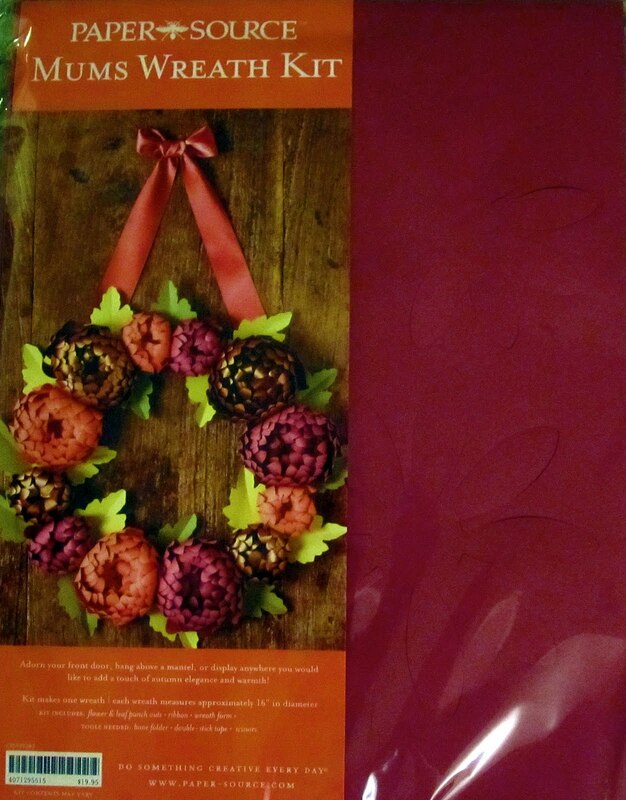 They have amazing decorative papers, gifts, stationary, calendars, craft kits, etc. I love this store! Check it out online if you don't have one where you live. You will want to be crafty when you see this store, I promise. Anyways, back to fall... 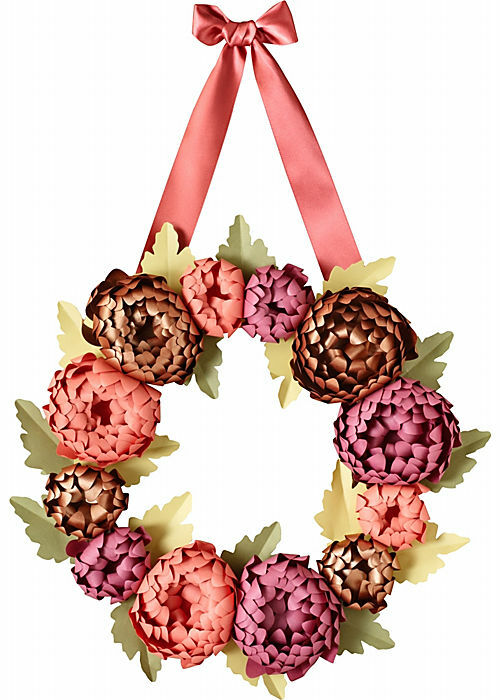 I walked into Paper Source and saw this gorgeous paper wreath. It came as a kit for only $19.95. It was love at first sight. Instant attraction. I didn't buy it at that moment; why I don't know. Clearly I had some sort of brain malfunction. 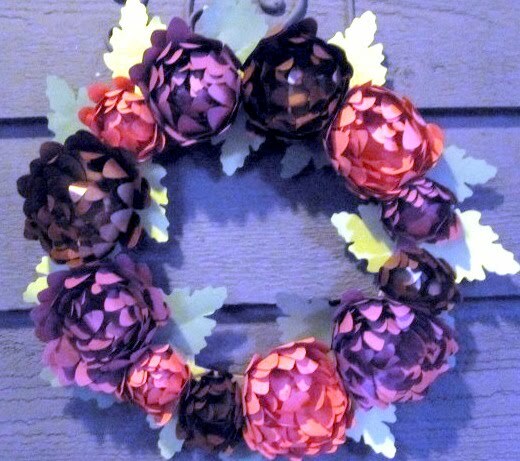 Fast forward to a week later and the gorgeous wreath is still on my brain. Talking to me ... "Jackie.... Buy me. I am the perfect way to welcome your guests... you know you want to hang me by your front door.... ." Man that thing was persuasive. So naturally I went back and bought it. And the voices finally stopped. 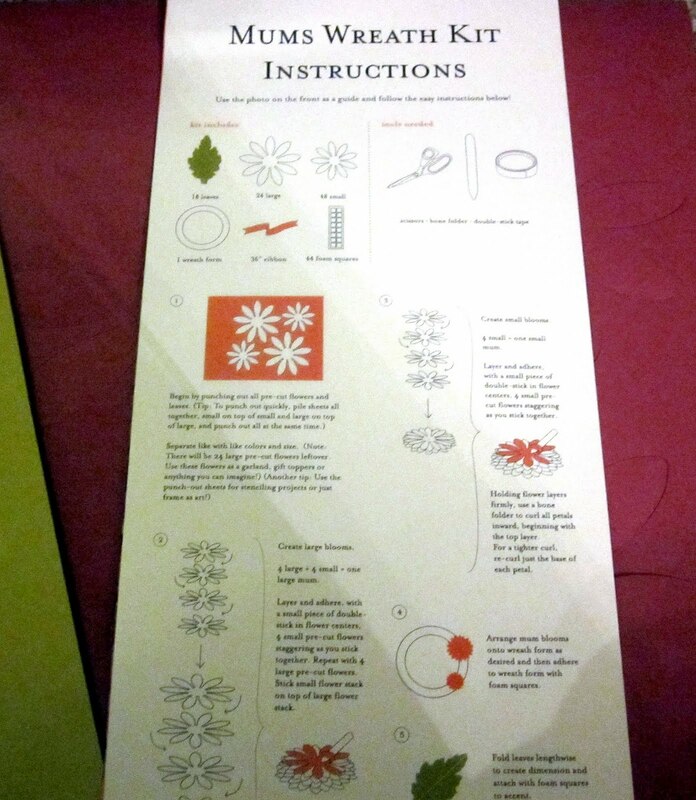 Here's the wreath making process - I promise you can do it, it's not just for the Martha Stewarts out there! 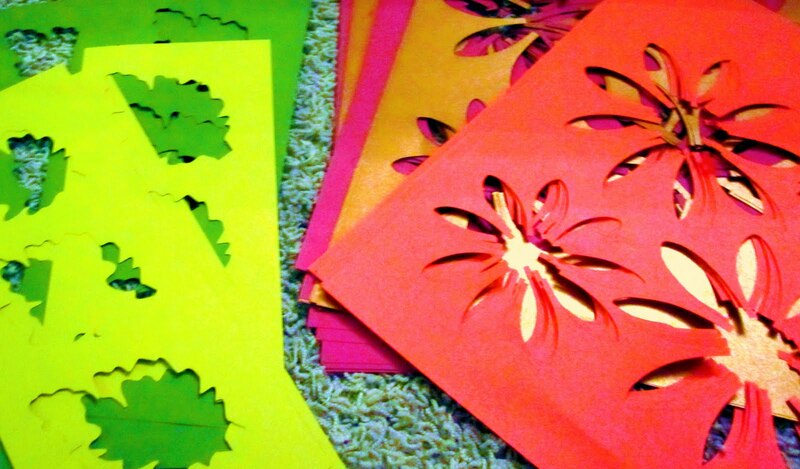 It's time consuming but not difficult. It comes with easy-to-follow directions, so I promise it's not brain surgery. 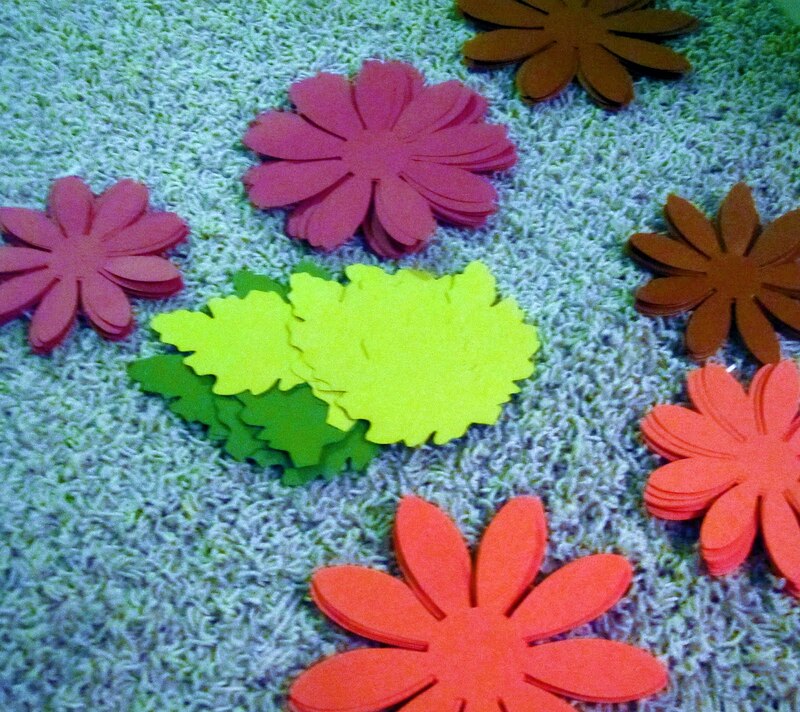 You will have some leftover shapes, which as Paper Source suggests, can be used as gift toppers or garland or any other crafty ideas. You never know when you can use a pre-cut paper flower. Word. 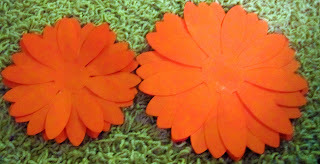 Take your double sided tape and stick four small and four large flowers together. Then stick the small on top of the large. And curl with your trusty bone folder. This is the only part that's a little tricky, but you will get better as you go along. 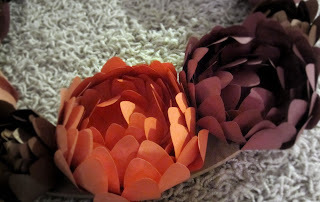 Start with the top layer of petals and curl each petal from the base up to the tip. 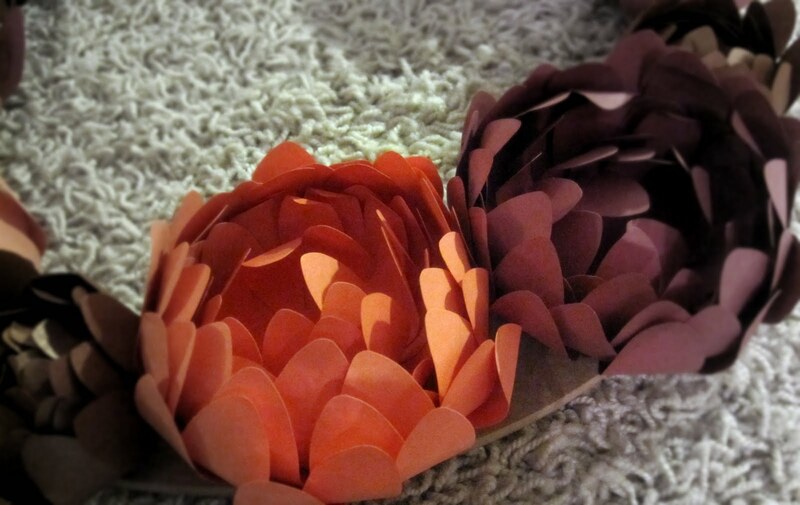 Be careful not to rip any petals... 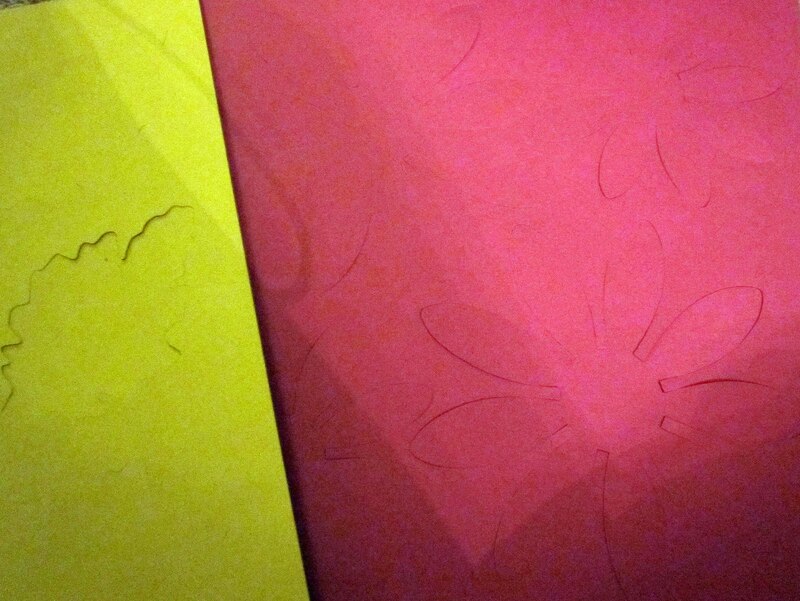 I had to bid adieu to a few petals myself, so it can happen! No need to be angry with the wreath, it didn't do anything to you. 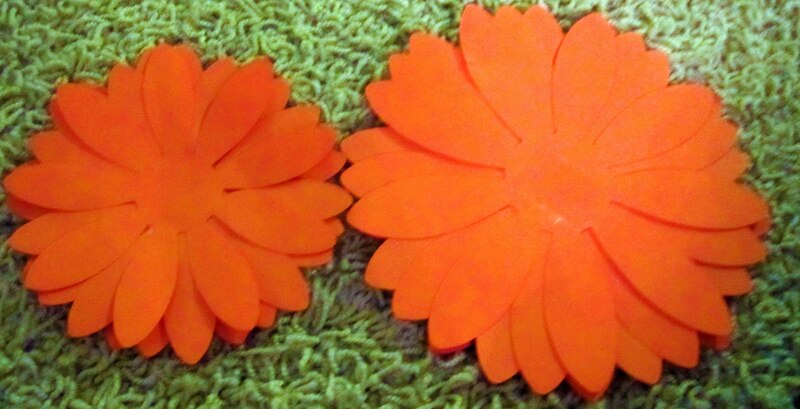 A close up of the finished mums. Aren't they purdy? 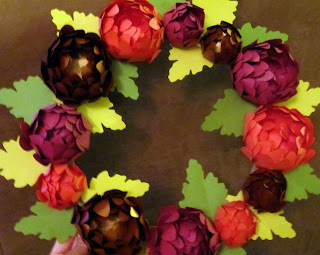 Fill in the gaps with the leaf shapes, and you have a lovely wreath! 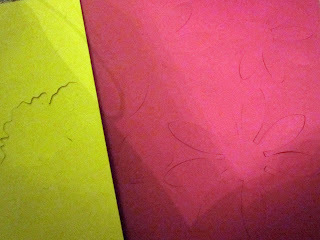 I couldn't get a good picture, so excuse my shoddy camera work and random lighting. A helpful tip: The kit comes with small adhesive foam squares... 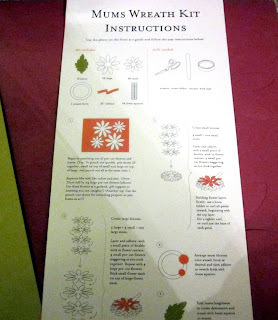 I found that that paper sticks better to the wreath if you just use double sided tape. Maybe I don't have good foam adhesive skills. So get yourself a pumpkin latte, hang this on the door and welcome the Fall season with style. pretty! that's one of my favorite stores! That is the most beautiful wreath I've ever seen. Wowza! and I am stunned why this accident didn't happened in advance! I bookmarked it. Your article has really peaked my interest. I will book mark your site and keep checking for new details about once a week. Thanks for sharing your thoughts on günstige krankenkasse für selbständige. Very beautiful. I want to tell about it at my work (familyessay.org). Maybe girls will decorate our office to holidays.